A new US textile maker Vidalia Denim has secured its initial funding to produce yarns and fabrics for the North American market. Located in Vidalia, Louisiana, the heart of the cotton-producing region of the Mississippi Delta, the factory will employ more than 300 full-time workers and over half of the mill’s energy needs will be met from renewable sources. 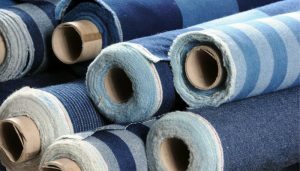 Utilizing next generation indigo dye technology, the company will use less water and manage its power usage more efficiently than any other denim mill in North America, according to a company report. Discharge water will exceed the US and the European Union standards for clean water discharge, it claimed. It will use e3 sustainable cotton exclusively and will source its cotton from across the US farm belt from various farmers enrolled in the e3 sustainable cotton programme. Wrangler is discussing with the company for developing fabrics for its 2019 product collection, the report said. The company’s factory will begin full commercial operations during the first quarter of 2019.